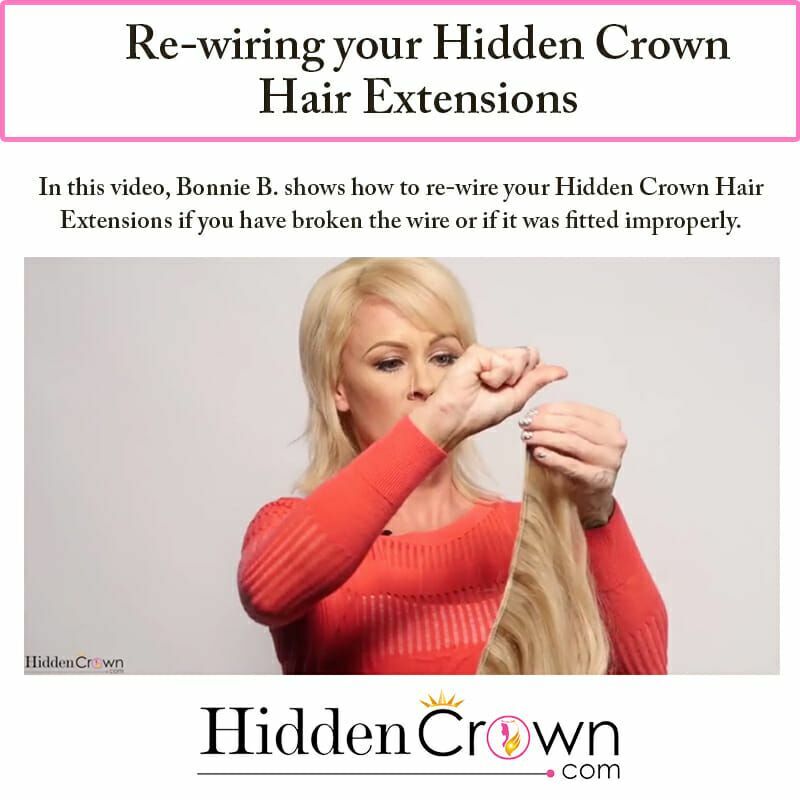 In this video, Bonnie B. shows how to re-wire your Hidden Crown Hair Extensions if you have broken the wire or if it was fitted improperly. Bonnie explains the tools you need that were provided with your Hidden Crown, as well as other tools you will find in your home. 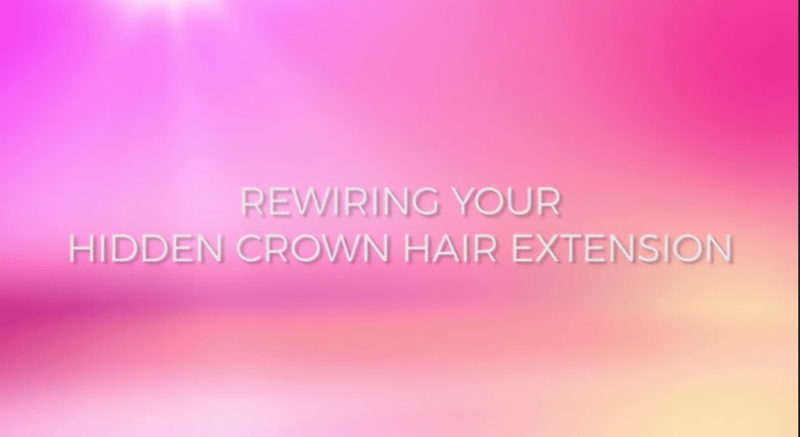 Watch this video to see the full step by step instructions on re-wiring your halo-shaped extensions! 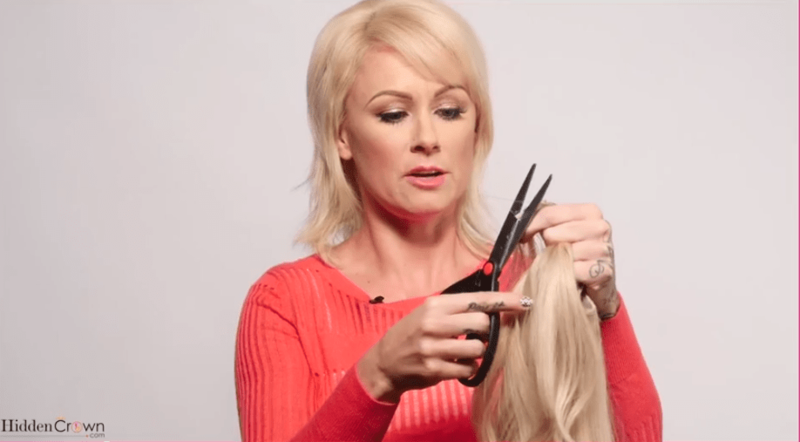 In the beginning of the video, Bonnie explains that in your Hidden Crown Hair Extensions package, there is extra wire, and two extra micro beads. Additionally, the last tools you will need are needle nose pliers (to clamp the micro beads closed), and a pair of scissors. (And a rat tail comb, but not a necessity). Bonnie shows how to re-wire a Hidden Crown Extension if the wire broke, but these steps are used when you are initially wiring your Hidden Crown. 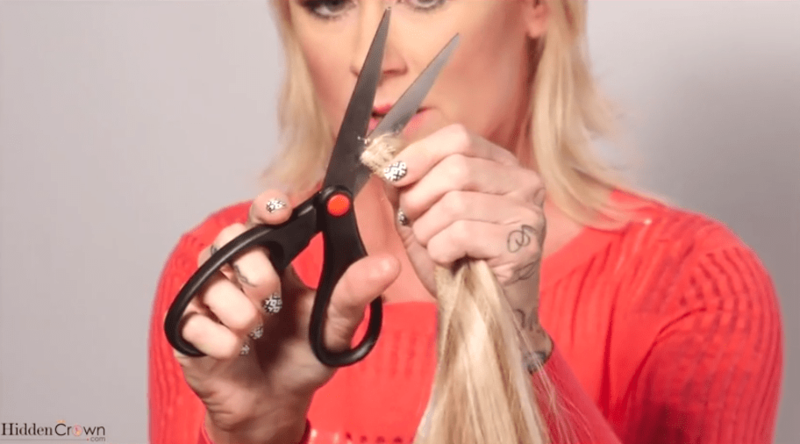 She uses her scissors to cut off both the sides of the wire. (**Be careful not to cut off the elastic part where the wire is connected to the extensions**). Watch Bonnie’s final product, and step by step instructions below!